It is clear from this discourse that Sextus realized something Messala did not: that genuine behavior change is a matter of internal transformation not external manipulation (Romans 12:2). Sextus understood that all rebellion is borne in the heart, and that no use of force or other external influence would result in making Judea into the “disciplined and obedient province” Messala determined to bring to fruition. None of this is to suggest that the federal government should not do what is Constitutionally mandated to protect us, even from one another, as is evidently the case in Chicago. Nor is it to imply that the government has absolutely no role in helping meet the essential needs of those who truly are poverty-stricken and destitute (Galatians 2:10). Though I remain convinced that helping the poor is primarily the responsibility of the church (James 1:27), we who are Christians, especially those of us who, like myself, identify as socially conservative, tend to forget that governments are established by God (Romans 13:1) as minsters on His behalf for the good and welfare of its citizens (Romans 13:4a). So, yes, there in fact is a role for government in such matters as these. Not all government involvement in the welfare of its citizens is inherently bad (the operative word being inherently). Nevertheless, notwithstanding what governments may or may not be able to do to enhance one’s socio-economic station in life, one thing it most assuredly cannot do is change a person’s heart. 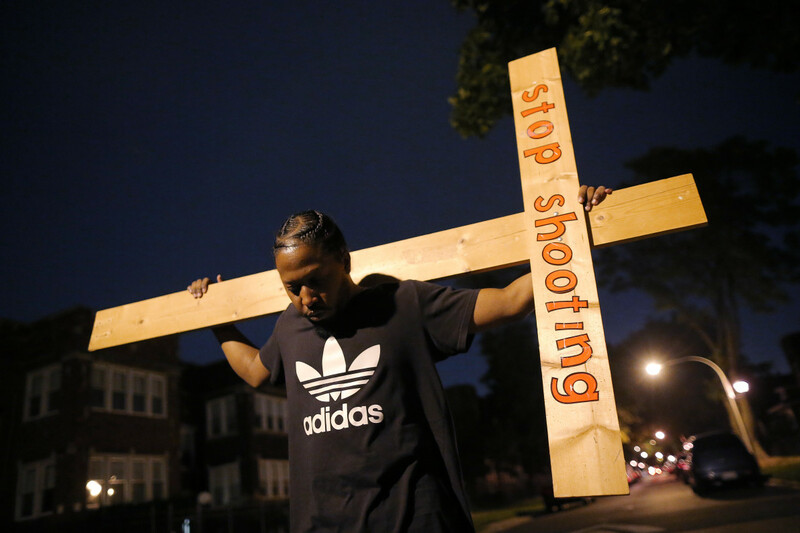 At the root of the hundreds of murders committed in Chicago in 2016, and well into 2017, is the same issue that compelled Cain to murder his brother Abel many millennia ago (Genesis 4:3-8). You see, contrary to what Messala might say if he were alive today, what Chicago needs is not “another idea”. Our problem, if we were honest, is we don’t really believe the gospel is what it says it is or that it can do what it says it can. I really enjoyed reading this well-thought and well-written post. You conclusion that we don’t really believe that the Gospel can do what it says it can do is what I have been feeling but could not quite put into words. There is an old André Crouch song from probably the 1970’s that is still very true, “Jesus is the answer for the world today…” Thank you again for a very good post. I believe it to be true that the only way wicked men can and will do right is with a change of heart. Now, it would stand to reason that a “good” reverend would know that. Further, if he were indeed a “good” reverend, he would aggressively go about sharing that GOOD NEWS. Immediately .. and not stop until all would hear and come to full knowledge of the saving grace and boundless love of a Mighty Savior. As always, excellent post, Brother Darrell; I am glad I subscribe to your blog. Prayers for our nation and its leadership. May God’s Will be done.